What are the reasons why Wirral Council can’t do a 12 week closure consultation on Lyndale School for July’s Cabinet? I notice that yesterday an item Outcome of Lyndale School Consultation was added to Wirral Council’s Forward Plan. According to the detail provided the outcome of the consultation (which hasn’t started yet) will be considered at a meeting of Wirral Council’s Cabinet on 1st July 2014. However I don’t see it as possible for Wirral Council to comply with the timescales on this and I’ll explain briefly why. The outcome of the consultation to close Lyndale School is classed as a key decision. Regulation 9 of the Local Authorities (Executive Arrangements) (Meetings and Access to Information) (England) Regulations 2012 states that prior to making key decisions (see 9(e)) that Wirral Council has to publish “a list of the documents submitted to the decision maker for consideration in relation to the matter in respect of which the key decision is to be made” (decision maker means the Cabinet) at “least 28 clear days” before the decision is made. Clear days means the day it is published and the day of the meeting aren’t taken into account in the twenty-eight days calculation which means the last day this can happen is the 2nd June 2014 (there are provisions in the legislation where a decision can be made with less than 28 clear days notice if the decision is “urgent and cannot reasonably be deferred” but the agreement of the Chair of the Families and Wellbeing Committee would be needed for that). After the consultation finishes, as the report will have to mention what the responses to the consultation were, I estimate it would be reasonable to estimate a week for this to happen, a week off of 2nd June 2014 is the 26th May 2014. The original report to Cabinet on the consultation back in January 2014 stated that there would be a twelve week consultation following a consultation document being published. Take twelve weeks off of 26th May 2014 and you get a date of 3rd March 2014 (which has already happened and was nearly two weeks ago). 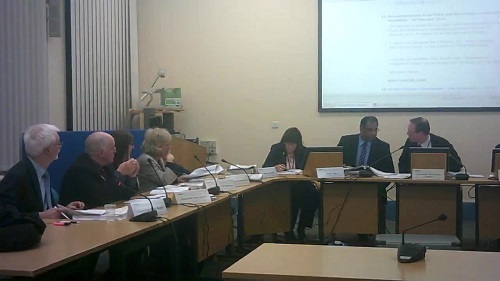 The call-in meeting of the Co-ordinating Committee made its decision on the 27th February 2014 and according to Wirral Council’s constitution as the Co-ordinating Committee upheld the original two Cabinet decisions that were called in, the decision to consult on closure should’ve been implemented at this point. Instead it was put on the agenda of the Cabinet meeting of 13th March 2014, with the agenda stating that the Coordinating Committee had made recommendations to Cabinet (which it hadn’t done as the Coordinating Committee had upheld the original Cabinet decisions of the 16th January and not made any recommendations to Cabinet). So I don’t understand how it’s possible (as the twelve week consultation hasn’t started yet) how on earth Wirral Council will manage to bring a report on it to the Cabinet meeting of the 1st July considering the above timescales. The agreed calendar of meetings shows that the next Cabinet meeting scheduled following the 1st July is the 11th September. This of course doesn’t rule out a special Cabinet meeting on this matter in mid-July, however as the schools break up for their summer break around this time it wouldn’t be best to hold it at this time. And these people quote RULES is rules the same rules they dont know themselves, as has been proven so many times. Competence is a desirable quality and when we get that we can rely more on procedure to control dishonesty, which dishonesty is the next quality we need to address! I think when you’re doing something like consulting on closing a school down, there’s a whole raft of laws and procedures you’re supposed to follow to make sure it’s done properly. Do you remember the (I’m going by memory here as I think it was £48k) care home fraud? Staff at Wirral Council hadn’t followed the rules which would’ve prevented the fraud so they were subjected to disciplinary procedures. However if you do something like don’t follow the law on what you do when trying to close a school, any member of staff ( or their union), parent etc could request permission for judicial review and a High Court Judge could quash the whole thing sending you back to square one. Even if that didn’t happen, due to the nature of the school disability discrimination or breaches of the Equality Act 2010 could be alleged and take 9 months to resolve in the local County Court. In the end the politicians are accountable to the people, but the extremely well paid legal advisers at Wirral Council need to give politicians good advice before they reach decisions. Otherwise when things go pear shaped, let’s give the libraries public inquiry as an example, politicians can turn round and say that the legal advisers told them it was legal at the time and the politicians felt both compelled to follow this advice and the politicians would say that if they hadn’t followed legal advice they would open themselves up to criticism. I think that’s called the “blame game” where a politician who makes a bad decision blames everyone but themselves. which highly paid legal advisers I do refer to! Don’t give me ideas, at times I am very tempted to heckle!